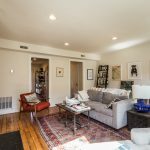 So, you’re in search of a Property Management Company in Philadelphia? You’ve come to the right place. This page will point you in the right direction in your search for the correct Property Management Company for you. We’ll show you how properly evaluate, screen, and finally work with your chosen Property Management Company. How are we able to guide you in this daunting task? We are the leading property management company in the Philadelphia area; with commercial, residential, and industrial units currently under management. On the residential side we manage anything from single family properties to large multi family complexes consisting of 100 + units. First, why is a Property Management Company needed? Professionalism: A professional third party management company can enhance your image. No longer are you the small time landlord which can be taken advantage of by tenants – you have a professional Property Management Company in Philadelphia representing your interests, and will be taken seriously by tenants, contractors, and other professionals. Accurate expense tracking – What’s your current method of expense documentation? A shoebox full of receipts, or a haphazard excel sheet? A Property Management Company in Philadelphia will keep diligent web based electronic records with Appfolio, quickbooks, or another accounting & property management software. At year end, your Property Management Company in Philadelphia will give you a print out of all income and expenses for use with your tax filing. Maximizing Revenue: The first step in making owners more profitable is making sure that vacancies are minimized. This is accomplished by showing units 2-3 months before they become vacant. A Property Management Company in Philadelphia will aim to have a tenant lined up to start occupying the unit directly after the previous tenant. Hopefully the previous tenant leaves the place in good condition, and no touch ups are needed. If there are turnover maintenance needs, then a couple of days between tenants might need to be allowed for. You hire a Property Management Company in Philadelphia to make this determination for you, and make you more money! 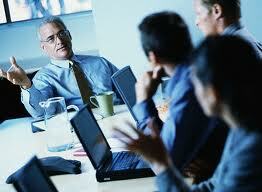 Communication: A good Property Management Company in Philadelphia should be easily reachable. Top tier firms offer the ability to communicate by phone, email, text message, and even instant messaging via their website. Outdated firms which do not offer many modes of communication are a dying breed, as they don’t offer consumers what they need to be successful in business. Using the above tips, you’ve selected a Property Management Company in Philadelphia which suites your needs. Now it’s time to iron out a contract which will define the nature of your relationship. 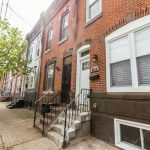 Here are some items you’ll want to discuss with your Property Management Company in Philadelphia, to ensure their are no discrepancies. Authorization threshold: There needs to be a threshold in place to determine when the Property Management Company in Philadelphia needs to obtain authorization from the owner to move forward with a repair. This dollar amount will vary widely depending on the type of property, and just how hands off the owner wishes to be. As an example, on a 4 unit building, the threshold might be $1,000. This means that for all repairs valued $1,000 and below, the manager may move forward with expenditures on his own without speaking to the owner first. For repairs over $1,000 the Property Management Company in Philadelphia would need to obtain approval from the owner. Capital Account / Maintenance reserve: Along the same lines as the authorization threshold, the Property Management Company in Philadelphia needs to have funds to fund repairs. A Property Management Company in Philadelphia can’t be expected to pay for repairs with it’s own money, therefore there should be a capital account in place. Usually an amount equal to one month’s rent will suffice. This account can be replenished from rents coming in, or from owner contributions as necessary. Fee Structure: Fee structures vary widely between property management companies in Philadelphia. Some charge a higher monthly fee, but bill for maintenance issues at cost. Others charge a lower monthly fee and then mark up the maintenance services heavily. Depending on the specific needs of your property, one strategy might be better than another, however, in our experience, we typically find that the first option is more transparent and trustworthy. A reputable Property Management Company in Philadelphia will charge market rate or slightly above on a monthly basis, but then only bill you for what the maintenance issues actually cost, rather than building profit in. Responsiveness: When ironing out the contract with the Property Management Company in Philadelphia, feel free to include a clause regarding timliness. As the owner, you want to ensure that the Property Management Company in Philadelphia in responding to your tenants needs quickly and efficiently. We recommend that a Property Management Company in Philadelphia respond to all tenant needs which are maintenance related within 1 business day. Lease related inquiries and other needs which are administrative and nature may be responded to within 2-3 days. Typically, in our practice, we respond to ALL needs within a couple of hours, if not immediately. However, this can not be expected of a Property Management Company in Philadelphia at all times. The above should serve as a basic for selecting, and then working with a Property Management Company in Philadelphia. JG Real Estate is an industry leader, and is happy to answer any questions which you might have. Contact us today to discuss your specific needs!